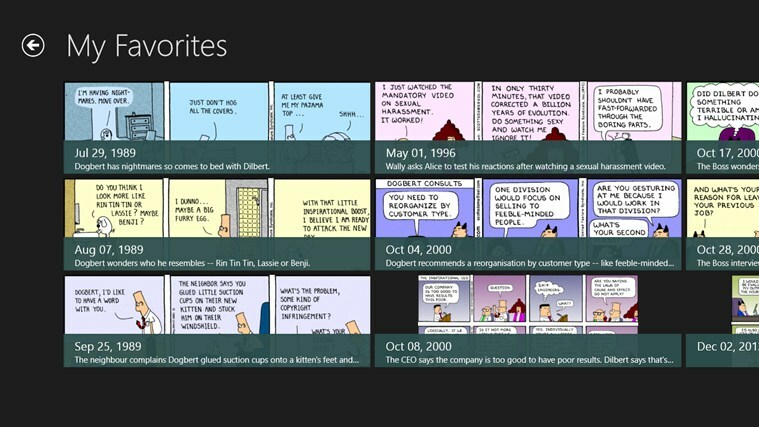 I've updated the Modern Dilbert Reader app again. 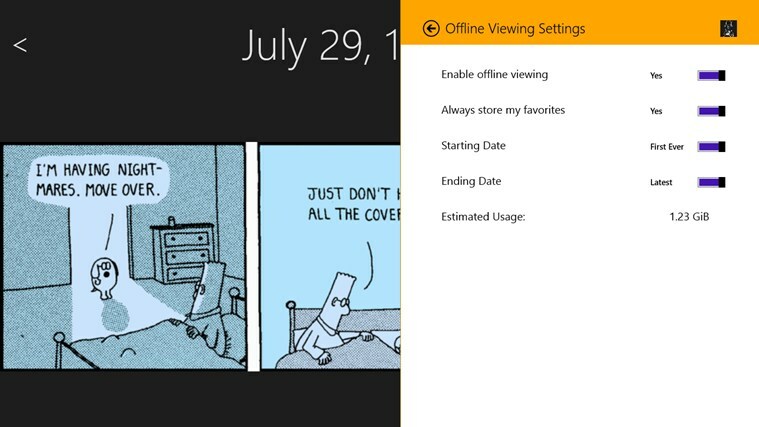 In version 1.2, there is new Live Tiles functionality, and updated date picker, and a new way to access the date picker: via the app bar. Hopefully, that will improve discoverability. I'll update the post once it gets certified and submitted to the App Store.